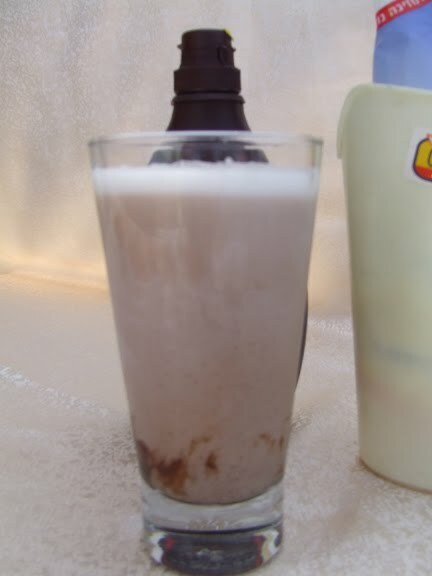 Cast of characters: A fresh bottle of cold seltzer, cold milk, a good brand of chocolate syrup, a tall glass and a spoon. 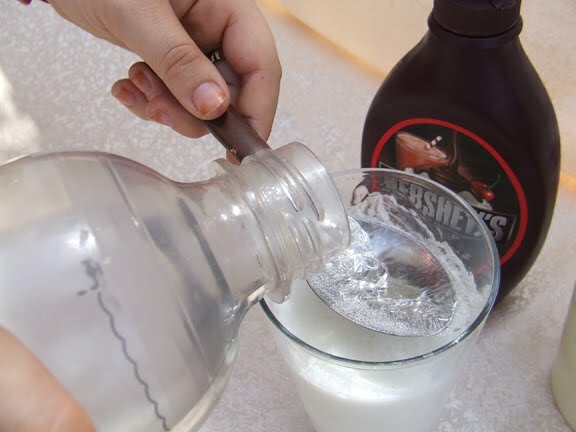 Fill your glass almost halfway with milk and add a generous squeeze or two of syrup. Holding your spoon over the cup, pour the seltzer over the spoon so it splashes and foams. 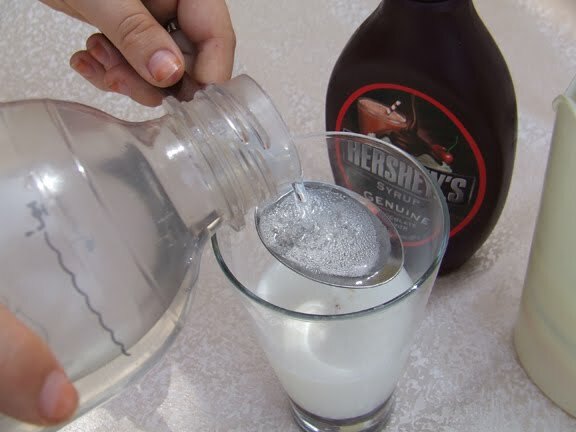 The tricky part is mixing the syrup with the milk and seltzer. It's called an 'egg cream' probably because of the white foamy head that looks like meringue when made correctly. Don't stir the milk. 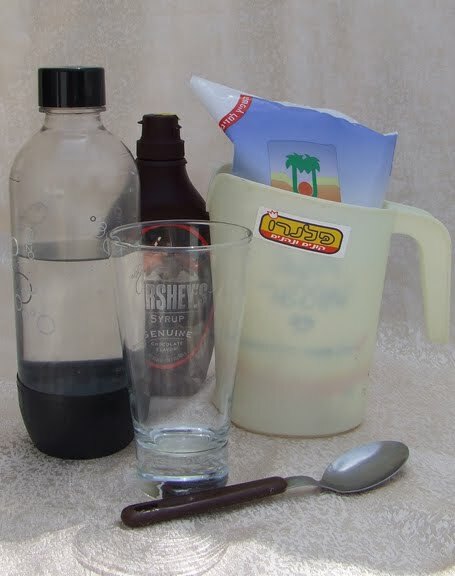 Put the spoon into the glass and with short whipping motions, you're going to mix it - keep an eye on the foam though and make sure you keep the foam white. 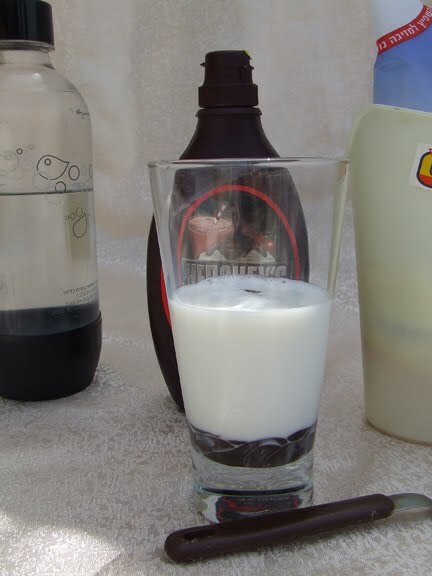 Now that brings back memories! Nothing like a little nostalgia. You must be from New York. And adding ice cream makes it an ice cream soda...YUM!